This entry was posted in Blog, Brochures, Newsletters, Press Releases, Social Media Marketing, Web Copy on July 31, 2017 by kellykoepke. Friday tip: Sign up for my monthly email newsletter. It’s full of great information and tips! This entry was posted in Friday tip, Newsletters on July 28, 2017 by kellykoepke. This entry was posted in books on July 27, 2017 by kellykoepke. This summer, take a break from passive reading, skimming, reading-as-multitasking, and try mindful reading.” — Marcella Frydman Manoharan, co-founder of Cambridge Coaching, which specializes in academic coaching and mentoring. This entry was posted in books on July 26, 2017 by kellykoepke. Kelly, Wow, wow, wow! The articles are amazing. Thank you so much. It’s so nice to work with a talented professional. Chuck Smith, Enliven Production Group, Inc. This entry was posted in Blog, Ghost Writing, Newsletters, Press Releases, Social Media Marketing, Web Copy on July 25, 2017 by kellykoepke. How do you create compelling content for your website, brochure, newsletter, blog, social media accounts or press releases? Is it a task that no one in-house wants or can do? Consider making use of the creativity, talents, expertise and perspective of a professional writer (also called a copywriter or content creator). This entry was posted in Blog, Brochures, Newsletters, Press Releases, Social Media Marketing, Web Copy on July 24, 2017 by kellykoepke. Friday tip: A professional writer understands that consistent, coherent, compelling communication with customers equals business success. Hire them. This entry was posted in Blog, Brochures, Friday tip, Ghost Writing, Newsletters, Press Releases, Social Media Marketing, Web Copy on July 21, 2017 by kellykoepke. I could go for one of these bookish tattoos. And they’re temporary! This entry was posted in books on July 20, 2017 by kellykoepke. A chuckle for your Wednesday. 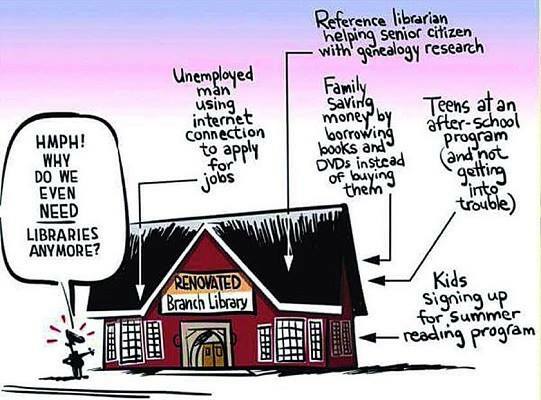 And more reasons to love libraries. This entry was posted in books on July 19, 2017 by kellykoepke. This entry was posted in Blog, Brochures, Newsletters, Press Releases, Social Media Marketing, Web Copy on July 18, 2017 by kellykoepke.